Jeffrey Welch's Blog: Does Your Local Shelter Have a Dog Behavior Trainee Program? Here Are 6 Reasons to Join! With more and more dogs being surrendered due to “behavioral issues,” many shelters are looking for ways to address these behaviors and make the animals more adoptable. 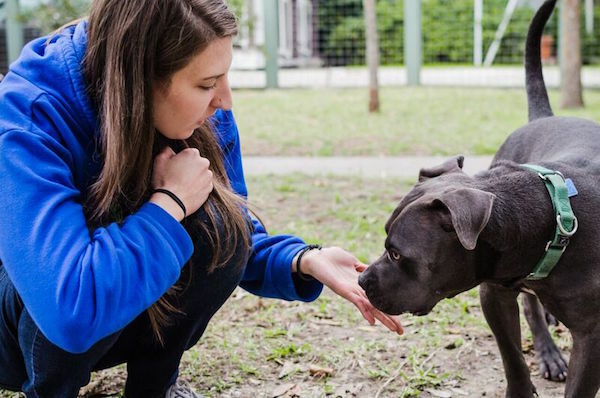 Some shelters have an entire training and behavior department, while others ask local trainers to volunteer their time. A few even have a program that allows volunteers to work with professional trainers, learning valuable skills while assisting them. If you are lucky enough to live near such a shelter, here are six reasons why you should take advantage of that opportunity. It can be difficult to notice the subtleties of your own dog’s body language, but seeing how different dogs act and having a professional trainer there to translate is a wonderful learning experience — one you can use to better understand your dog. 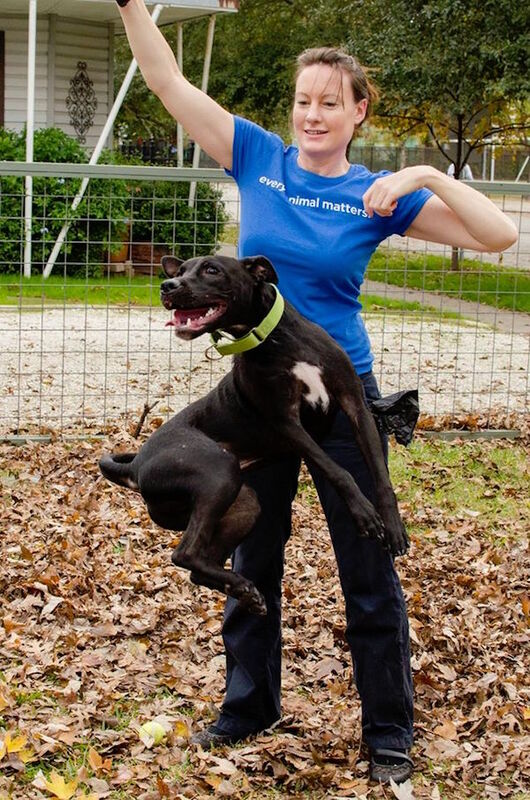 At Friends For Life, an animal shelter in Houston, Texas, the organization has a trainer trainee program with five tiers. Each tier gives the trainee/behavior volunteer experience in a different area, and they must complete each level before moving to the next. Body language is in level two, and it “benefits their handling skills and reduces the stress levels in our shelter pets,” says Behavior and Training Manager Melissa Taylor. In a trainer trainee program, you learn the best ways to teach dogs basic (and possibly more advanced) skills, then you can go home and work with your own pup. Many dogs end up in shelters because of problem behaviors, and as a more advanced trainee you will be learning how to address these issues. If your dog doesn’t walk nicely on the leash, or in more serious cases has leash reactivity, you will be able to bring home ways to solve that problem at home. 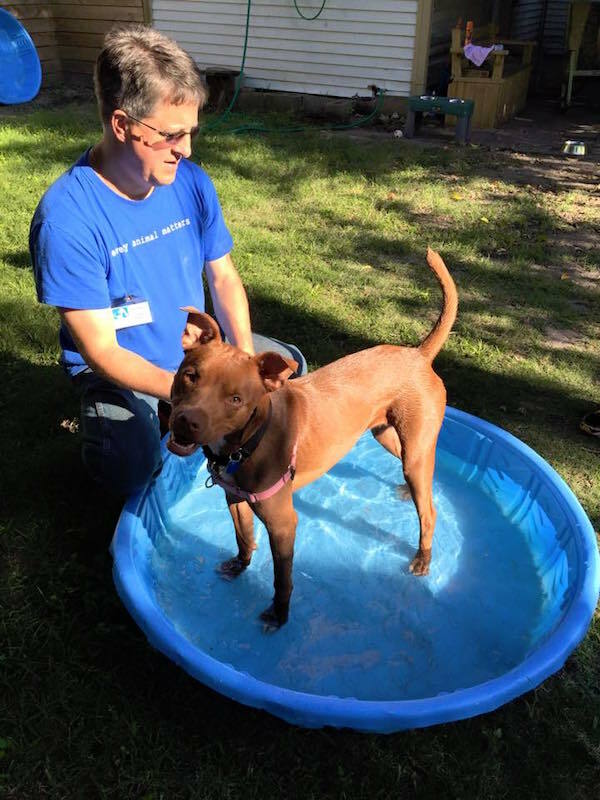 At Friends For Life, trainees are taught learning theory and dog training, and they even take shelter dogs to classes where they work toward their Canine Good Citizen title. Some dogs don’t do well in the shelter environment. Interaction and enrichment makes them happier and more attractive to potential adopters. People want to see a dog’s personality, and the more exercise (physical and mental) and training a dog gets, the more that personality is going to come out. And this type of program doesn’t just improve adoptability, it also helps dogs stay in a home once there. Shelter trainers and/or behavior volunteers counsel fosters and potential adopters, and they work with families to ensure a smooth transition, and can help with any issues that might come up. The more experience you gain and the more skill you show, the more you will get to do at the shelter. While some people are content with walking dogs, you might want to move up a level. Some behavior volunteers also help with behavior evaluations and meetings between an adopter’s current dog and the potential new family member. Before I opened my dog training business, I completed a training internship with the behavior department at the Humane Society of Boulder Valley. I had a mentor and required reading, and I learned more than I thought possible. I loved the experience for all of the reasons mentioned above, and it only increased my love of dogs. Taylor has seen the same thing happen at Friends For Life. The post Does Your Local Shelter Have a Dog Behavior Trainee Program? Here Are 6 Reasons to Join! appeared first on Dogster.